Sunday evening I was honoured to be at the Premiere “Für die Kinder von gestern, heute und morgen ” (For the Children of Yesterday, Today and Tomorrow) a piece by Pina Bausch, one of the most significant choreographers of our time. 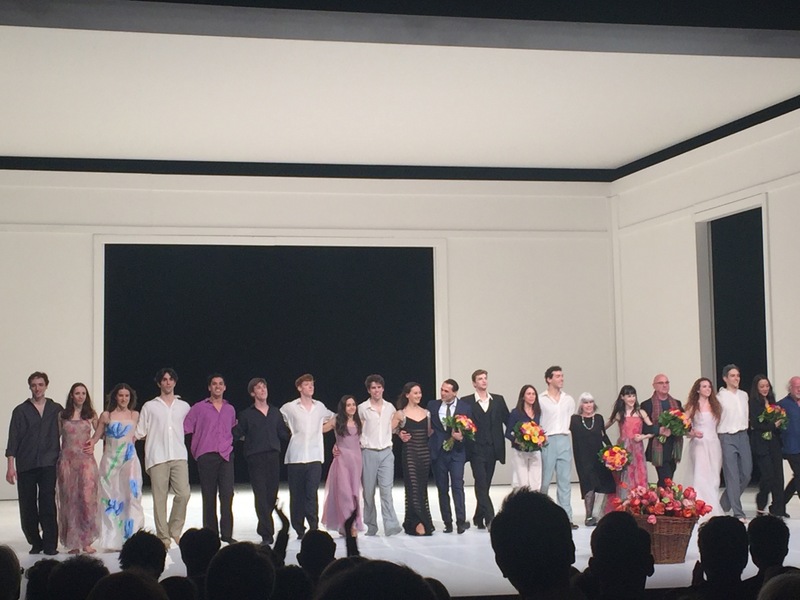 Indeed an extraordinary and compelling performance by Bayerieshes Staatballet which combined all elements that made up the unparalleled quality of Pina Bausch’s Tanztheater. 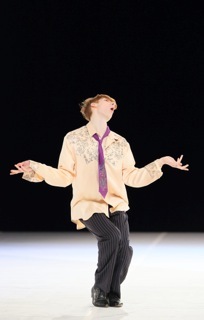 This performance is one of the projects of Ivan Liška, artistic director, for the 2015/2016 season at Bayerisches Staatsballett. 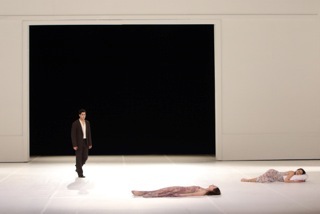 Created in 2002 in Wuppertal during the latest creative period of Bausch – a period where her work became more dance-centric. It is the pinnacle of the series , Tanzland Deutschland, which showcased highlights of the choreographic work happening in Germany: from Schlemmer as representative of the Bauhaus, to Kandinsky’s synaesthetic concepts at the beginning of the 20th century, to Ausdruckstanz, neoclassical finds and the full-length narrative ballet of John Cranko and John Neumeier all the way to contemporary creations from Forsythe and Siegal. 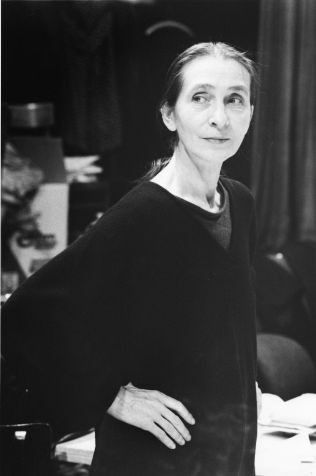 Pina Bausch was born 1940 in Solingen and died 2009 in Wuppertal. She received her dance training at the Folkwang School in Essen under Kurt Jooss, where she achieved technical excellence. Soon after the director of Wuppertal’s theatres, Arno Wüstenhöfer, engaged her as choreographer, from autumn 1973, she renamed the ensemble the Tanztheater Wuppertal. Under this name, although controversial at the beginning, the company gradually achieved international recognition. ……Dance theatre evolved into a unique genre, inspiring choreographers throughout the world and influencing theatre and classical ballet too. Its global success can be attributed to the fact that Pina Bausch made a universal need the key subject of her work: the need for love, for intimacy and emotional security.